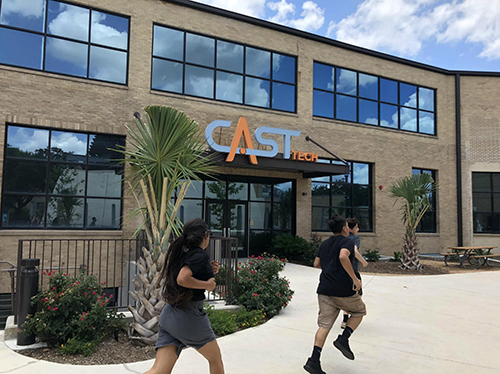 CAST Tech is a career-themed high school in San Antonio ISD, focused on coding, cyber security, gaming, entrepreneurship and business. It focuses on company-generated projects with industry partners, job shadowing, mentorships and internships. Students can graduate with up to 30 hours of college credit and industry certifications through college/university partners. 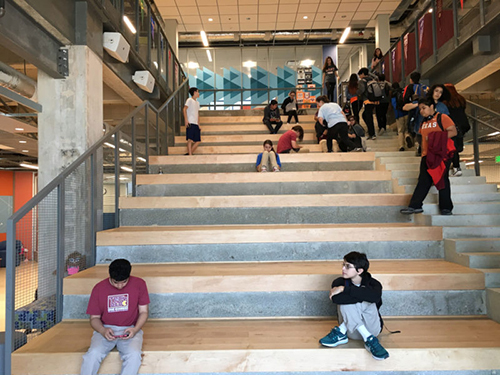 CAST Tech's innovative campus is a complete renovation of an existing building on the campus of a separate, currently-operating high school, and is an example of a thriving in-district charter school. A large, fast growth district, the Northside ISD has had a long history of building energy efficient, low maintenance schools. In 2007, the district adopted a goal of building their future schools to “Green” or sustainable construction standards and piloted two new schools through building certification programs. 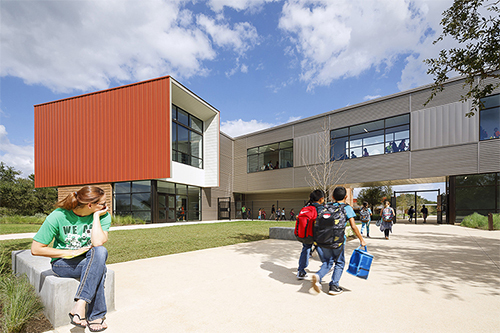 Since then, the district has built 12 schools each of which have been certified as either TX-CHPS- Designed (Texas Collaborative for High Performance Schools) or United States Green Building Council (USGBC) LEED Silver. With recent updates to TX-CHPS, LEED for Schools, and the Energy Conservation Codes, the district went through a re-evaluation of the high performance building certification programs it uses to determine if these programs were still the best fit and should be utilized for the district’s upcoming 2018 capital improvement bond campaign. 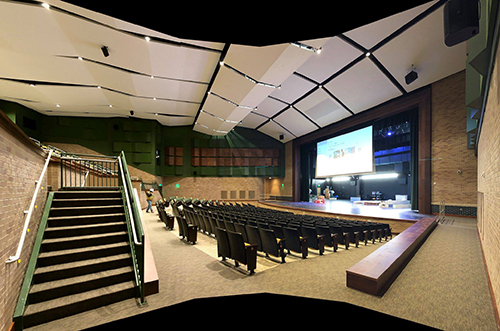 The presentation will give a brief overview of TX-CHPS and LEED for Schools, review the Northside ISD’s experience with these certification programs, and the show the direction of the district chose for its future high performance building program. As one of the older middle schools in the North East ISD, Garner Middle School was outdated and in need of major upgrades in order to keep pace with newer campuses that were being built in the district and surrounding areas. Challenged with master planning a complete campus replacement, Garza Bomberger Architects worked with the District over a period of 4 bond programs to conceptualize and bring to reality this extensive and transformative project. Systematic demolition and replacement brought new facilities to the existing campus, including new science/academic classrooms, fine arts and athletic spaces, administration offices, cafeteria/kitchen, and other support spaces. 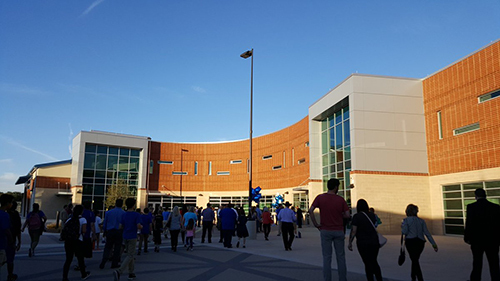 Most important of all, the entire reconstruction effort maintained campus operation and functionality during all phases of construction, with the ultimate end result culminating in all new campus facilities for Garner Middle School.